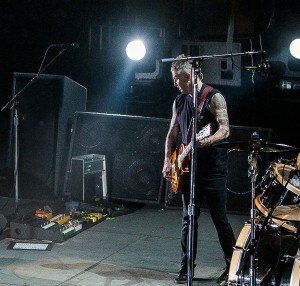 Mike McCready and Pearl Jam just don’t stop. They are coming off a major 20th anniversary tour, but are continuing to play a few dates since the launch of that tour two years ago. The Mike McCready pedalboard has been very active as well, as it seems it has even changed since the beginning of the tour. Among some of the changes from his 2011 pedalboard is the addition of a vintage Ludwig Phase II Guitar Synthesizer 1970 and the return of the M-101 Phase 90 (replacing the Boiling Point Overdrive). Before that, Mike added the current mainstay pedals, the Line 6 DL4 Delay and MM4 Modulation pedals.